This Workshop ONLY/specifically for those who attended the first Workshop in 2014. Anticipate an email from the SITU Treasurer. 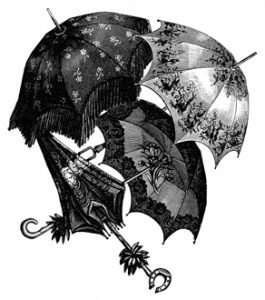 We will gather together to work on completing the parasols which were dis-assembled during the first class. The original instructor will be on-hand to answer questions and help where needed. A Supplies List will be emailed upon registration. A $5.00 Workshop Fee is included for this gathering.